Just about everyone, from homeowners to businesses, will require the use of a skip bin from time to time. Whether you are renovating, moving house, building, spring cleaning, cleaning up a factory, fitting out a shop or business, our fast and easy skip bins can help you get rid of the rubbish. At MCM Skip Bins, our customers are our highest priority. We are proud of our long standing reputation for expert advice, clear communication and unbeatable customer service. We have been working in rubbish removal since 2003. 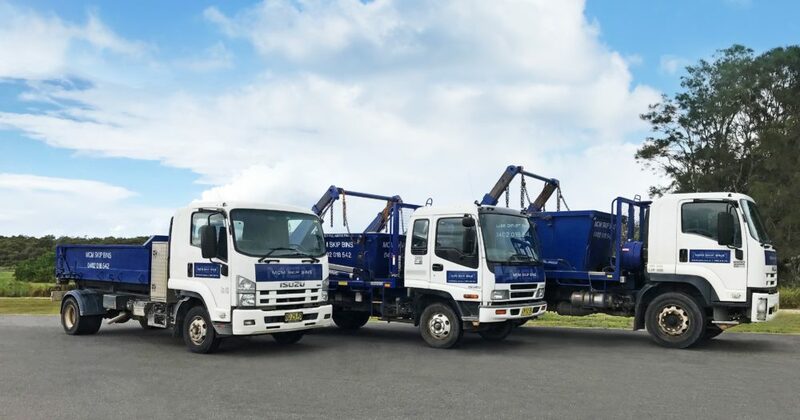 We are proud to be the Sutherland Shire and St George Area’s premier skip bin hire company. We are a local, family-owned business, and that means that your satisfaction ensures our success. We wouldn’t be where we are today without our loyal customers. We believe that residents, trades and business owners in our local area should have fast, easy access to affordable skip bins when they need them most. In many cases, we can provide same-day service as required. We work hard to offer the best rates possible, so you can feel confident in your local provider. We’ll work with you to ensure that you only pay for what you need. Our skips range in size from three, four, six to eight cubic metres. You are sure to find the right skip bin to meet your needs. Our drivers will arrive to your home or site on time every time. We respect that your time is valuable and we guarantee prompt drop- off and pick-ups. We’ll work with you to devise a schedule that meets your needs. We are proud to include both residential and commercial customers among our clientele. For homeowners, we provide skip bins to help remove waste during moves, renovations, clean-ups. For businesses, we can help with removing waste from construction, fit-outs and demolition sites. We are located right here in the Sutherland Shire, so you will never need to pay extra for transportation costs. We live where you live, and that local experience is evident from the moment you get in touch with us.